Raising four boys on the farm means a lot of groceries and a lot of hungry kids to feed. Just as I carefully measure the ingredients for my recipes in the kitchen, we carefully manage the fertilizer and crop protection products we use to feed and protect our crops. And whether it’s in the kitchen or the field, more of any one ingredient isn’t always better. As the cook in our family, I’m thankful that I have an easy place to find or tweak recipes – the internet. I’m constantly improving what I put on the table because of it. Precision agriculture helps do the same thing for our farm. 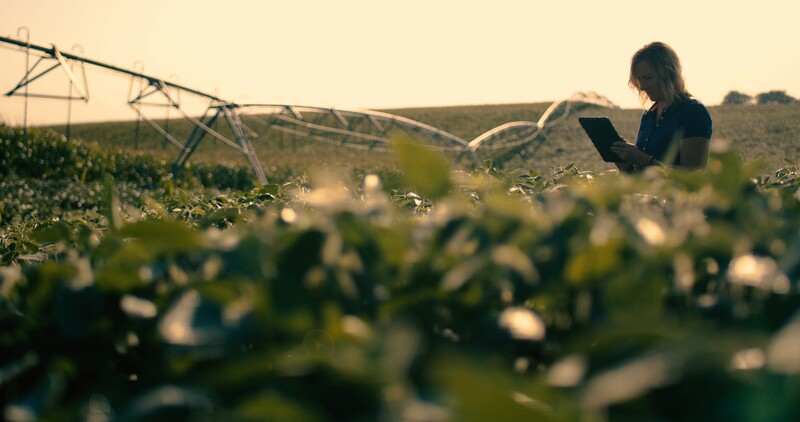 Technologies like GPS, sensors and computer monitors help us track our yields and more precisely manage the inputs (or ingredients) for our crops and our fields. We can change our seeding and application rates to be sure we’re applying the right amount of seed, fertilizer and crop protection products to each area of our fields. Fertilizer is one of the most important ingredients to growing healthy crops. We test samples of our soil on a regular basis to better understand the fertility of different areas of our fields. With this information and the use of precision agriculture technology, we can be sure we’re only applying fertilizer where it’s needed and when it’s needed. We can’t be in all our fields all the time. Fortunately, with precision agriculture technology, a lot of information from our fields is available on our smartphones and tablets. I can be sitting in the bleachers of my son’s baseball game and pull out my phone to see how much rain we got in a field, understand its fertility levels and monitor the overall health of our crops. This remote access to data helps us make decisions about what our crops need, and when. For example, we can tell whether we may need to work in a particular field the next day and whether the soil conditions will be right for field activity. This type of technology changes and advances all the time. While we usually aren’t the first farmers to implement the latest technology, I would consider us early adopters. We know data and technology are key ingredients to producing more and better crops using fewer resources. Want to learn more? Visit the CommonGround website to hear from other farmers and see how they are using technology to promote sustainability on their farms.